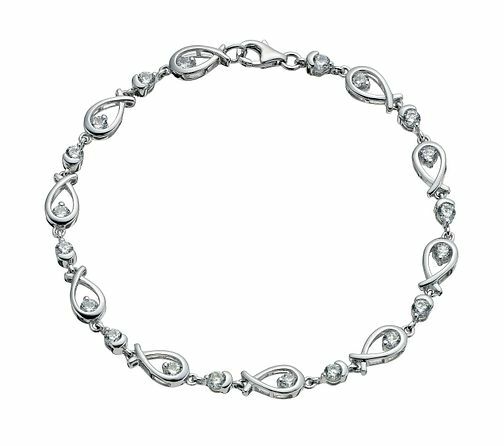 Silver and cubic zirconia love knot bracelet with lobster clasp fastening and delicate loop knot design. A gift she'll love. Silver & cubic zirconia love knot bracelet is rated 5.0 out of 5 by 1. Rated 5 out of 5 by Anonymous from Great products, fast and easy service Earnest Jones always had a wide range of products, none are ever scratched or dented and the delivery service is very easy and accommodating.